I began wood-turning two years ago when I had to make twenty-seven magic wands for a grandchild's Harry Potter birthday party. I knew then that this was going to be my favorite hobby. While attending an American Woodturners Association seminar I watched Dale Larson, a professional from Oregon, turn a large blank of Madrone into the most beautiful wooden bowl I've ever seen. Since then I've been using Madrone for pens, wine stoppers and other neat projects. It is hard to find a source for Madrone and when I do, they usually sell out very quickly. I don't know of any other wood that has the magnificant color that Madrone has. When I do find it, it is about the same price as gold, but much nicer. 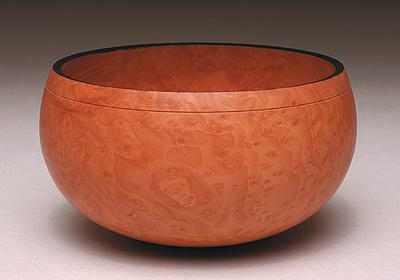 I am including a photo that I found on the internet that is similar to the bowl that Dale turned.....enjoy! This is beautiful product. Colour selection is awesome. I really liked this. I am book Marking your page for the new interesting blog. Keep share you more blog. Good Work. Keep it up. That sure is an incredible piece of Madrone wood turned magnificently into a stunning bowl! Join in and write your own page! It's easy to do. How? Simply click here to return to Madrone Tree.